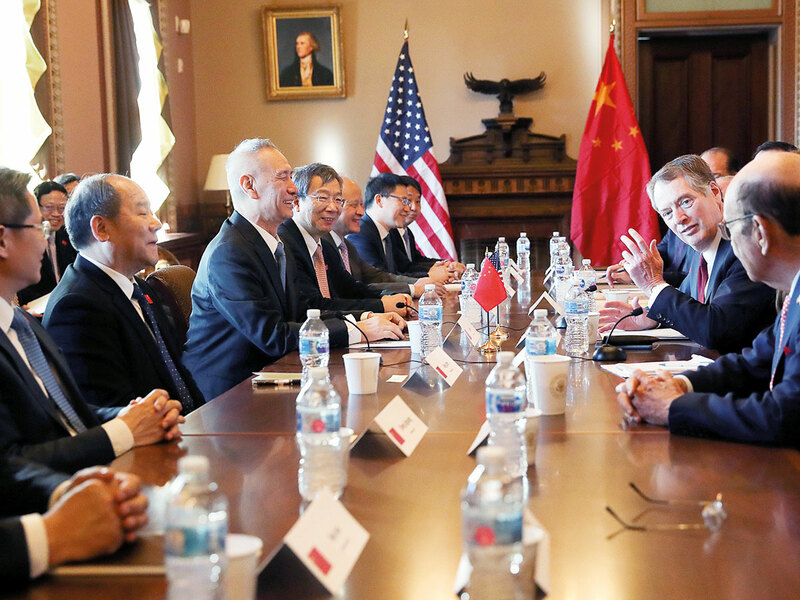 Washington, D.C.: The US-China trade talks this week had a “good vibe” with much work remaining, White House economic adviser Larry Kudlow said on Friday as China followed through on a pledge to increase soybean purchases with orders of at least 1 million tonnes. They talks “had a good vibe, they covered a lot of ground. Both sides looked at more specifics than ever before,” Kudlow told Fox Business Network. soybeans by 5 million tonnes, traders said state-owned firms on Friday bought at least 1 million tonnes of the oilseed for shipment between April and July. Scott Kennedy, who directs the Project on Chinese Business and Political Economy at the Centre for Strategic and International Studies, said he viewed Trump’s positive comments and tweets about the trade talks as “indications of atmospherics and mood.” “I don’t take them literally as a reflection of what was negotiated or agreed upon by the Chinese relative to the US demands,” Kennedy said. “USTR is still running the negotiations and the demands are still high.” US Trade Representative Robert Lighthizer on Thursday told reporters he had complete confidence in Trump to close a deal with Xi that addresses US concerns, but cautioned that much more progress was needed for a meeting with Xi.